Bring home this beautiful marble puja thali with chopra and take devotion to a new level this diwali. It will also add to the décor Read More..of your home. Gift this exclusive item to people you care about and win their appreciation. This will also serve as a memento of your love and care. 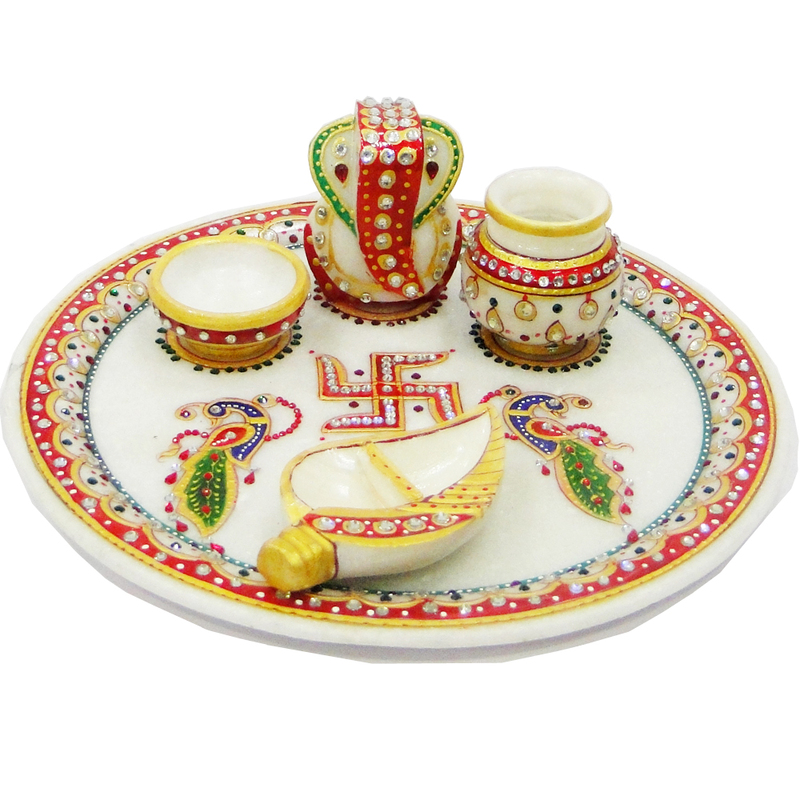 With beautiful decoration around the periphery of the thali and on the paraphernalia it can be a perfect companion for puja. Show Less..